Obviously, no one of sound mind would want to waste their time or their money. Of course, it happens all the time, but it is avoided whenever possible. I am always looking for even more ways to save time and save money as I only have small amounts of both and I need all I can get. My time is valuable. It is not always profitable, but it is always valuable. I have a home and a family to tend to. My children are my top priority, always. I hate having to take time away from my kids to tend to things like food prep and such. Usually, I look for what is fast, however, fast does not always mean good, and usually it's not. Thankfully, with FoodSaver I have discovered some really great ways to save money. 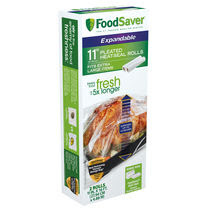 Since FoodSaver keeps everything incredible fresh, it cuts way down on spoilage and wasted food. Anything you paid for going bad and having to be thrown away is a huge waste of money. besides that, FoodSaver has some really great tips that will help you prep and cook real, fresh meals faster and with way less hassle. Now I can cook an affordable meal faster and more efficiently instead of wasting money on delivery or take-out. These FoodSaver tips from experts for faster, easier weeknight meals have really helped me rethink my dinner routine. I always love to get the same results in less time. In this case, amazing meals super fast. Spend Less Time Creating More Flavors. We know you like to work smarter and not harder, and the FoodSaver® brand knows how to make that happen. Infuse food with flavor in minutes instead of hours using the FoodSaver® Quick Marinator, a 2.25 quart canister that works with any FoodSaver® vacuum sealing system. 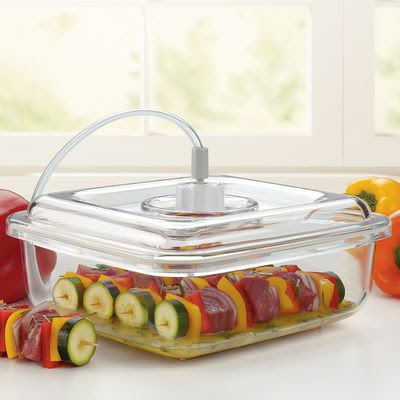 Vacuum power opens the pores of the food for quicker and deeper absorption of marinades. This is great for the early risers and ambitious late-night-workers who don’t have the time to prepare dinner the night before. By using the FoodSaver® Quick Marinator you can come home, marinate your fish, chicken or vegetables and before you finish your first glass of wine, you’ll be ready to cook a flavorful dish in minutes. Sundays Well Spent Make For Weeks Content. Spend Sunday afternoons cooking up a storm, making healthier homemade meals the family can enjoy during the week. For weeknight dinners, cook enough of 2-3 main dishes to have a meal and a leftover meal for the family. If you’re one of the gym-going, calorie-counting, meal-plan-following millennials looking to stay fit and remain on a tight regimen, cooking your weekly meals in advance and storing them will ensure you’re not overeating or deviating from your road to fit! Weekday breakfast smoothies can also be prepped in advance for a healthier on-the-go alternative by following five simple steps as shown in the FoodSaver® brand’s Fresh in a Flash video. Label the bags, place your chopped fruits and veggies in theFoodSaver® Portion Pouch, draw the air out, seal for protection, and store in the freezer. Morning breakfasts won’t be a hassle, as all you need to do is blend your pre-chopped ingredients, pour into a cup, and go. If being proactive and ready to take on the busy week doesn’t excite you, we know what will… Once you’ve cooked your meals, snap a picture of your FoodSaver® product stocked fridge and upload it to your social media account using the hashtag #FoodSaverFridge for a chance to win weekly prizes! Cook Up One Item & Prepare It Three Ways – Meals For Days. Preserving dinner is a cinch using any FoodSaver® vacuum sealing system and FoodSaver® Expandable Bags, which are perfect for accommodating large food items like whole turkeys, hams, roasts, casseroles and even pies! Cooking a whole chicken and storing the leftovers is simple and will make for a variety of meals. You can prepare the chicken three ways – make chicken Parmesan, chicken quesadillas and a chicken salad using one chicken. If you really want to get creative and impress your guests, the FoodSaver® brand’s Seal To Savor Thai Peanut Chicken recipe will guarantee smiles without making a mess in the kitchen with three easy steps: batch, seal and slow cook. Simply fill a bag with seasoned, pre-cut chunks of chicken, seal the bags using any FoodSaver® vacuum sealer, and place bags in the freezer. When event-day arrives, thaw out your chicken, toss the ingredients in your Crock-Pot® Slow Cooker, and wait for the timer to ring – it’s that simple. 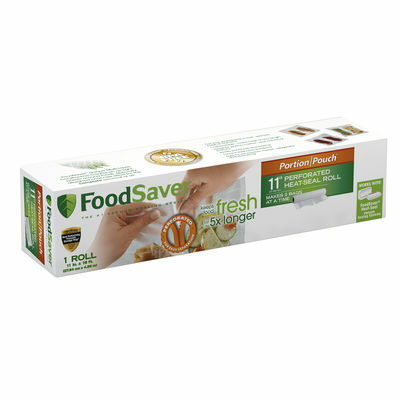 If preserving smaller or individual portions like fruits and vegetables, use FoodSaver® Portion Pouch rolls and store them in the fridge for the week. Not only will you see the difference, but you’ll taste and see it when you compare storing your foods in FoodSaver® products! Visit the FoodSaver® brand’s Facebook and Instagram pages to watch the real-time difference food that has been vacuum sealed in FoodSaver® bags or rolls next to food that hasn't makes. Eat Your Favorite Meals All Year Round. Save money and eat healthier too! There’s no reason the family shouldn’t enjoy summer’s fruits and vegetables in winter, and vice versa. Purchase your favorite produce while it’s in-season and costs less. Then, preserve the bounty for long-term nutritional consumption without maxing out the food budget or skimping on flavor and freshness. This is great for those who are reminiscing on mom’s fresh homemade pumpkin pie in mid-March. Why wait until the fall season for pumpkins when you can simply go into your freezer, thaw out and call mom for that recipe? Visit the “tips & hints” section of FoodSaver.com for specific suggestions about preserving different types of produce from bananas, berries and lettuce to vegetables and herbs. To save time, make cookie dough, pie shells and even whole pies in advance. Then, vacuum seal them and freeze for later, using any FoodSaver® vacuum sealer with any FoodSaver® Bag or Roll. When ready, simply thaw and bake! This is also great for freezing the top of your wedding cake and on that yearly anniversary, it’ll be as fresh as the day you said I DO! To ship baked goods to loved ones, simply vacuum seal in a FoodSaver® Canister Container so they hold their shape. 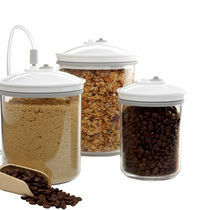 These are also great for portioning bulk store-bought baked goods and keeping them fresh for weeks instead of days. I love these tips! Do you have any tips for fast, easy, weeknight meals? 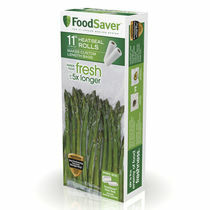 have you used or do you currently use FoodSaver products? Which is your favorite? How does it make your life easier? I would love to discuss these things with all of you. I am always looking for more tips. Thanks for sharing this awesome foodsaver. Really loved to read this whole post. They are much more stable and durable, easier to use and can produce more vacuum packed bags. You have pointed out some excellent Andrea, I as well believe this is a very superb blog. I love this kind of appliance is food saver vacuum sealer. My time isn't always profitable, but valuable, too. Thanks Andrea for sharing this useful information about using a foodsaver. I should have one to make things go faster and economical.